When: 2 June 2017, 6:30 p.m. 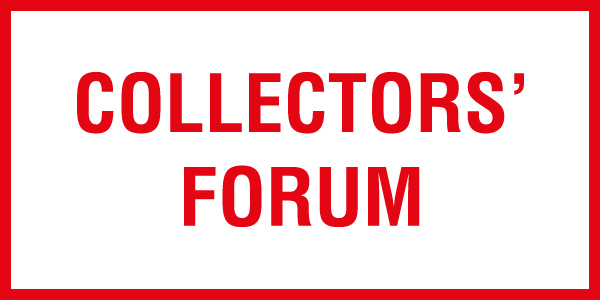 This year, as usual, Introduction to Contemporary Art will have a lecture on art collecting, part of Collectors’ Forum, a project that strives to introduce to the audience the concept of art collecting and building a collection. In the beginning of June we will have the opportunity to learn more about the corporative collection Art Collection Telekom from its curator. How collecting contemporary art can be transformed into a narrative about contemporary problems – all of this and more from Rainald Schumacher, curator and director of Office for Art (Berlin). How can collecting of contemporary art turn into a narration about contemporary issues? Narration is usually unfolded by words, by text, by language, written or told by a person with a subjective perspective. But there is a shared ground of the basic meaning of words, so other subjects can understand the storyline. Objects are non-verbal, they don’t have a voice, they do not tell a narrative by themselves. But art, contemporary art, is all about talking, writing and translating the objects into subjective stories and narrations. Curating a collection, what does it mean? Putting things, objects, together and for what reason? Is collecting just a kind of research, like in an archeological field study, finding things, giving them numbers, locations, classifications and putting them on shelves or in boxes, in storage or on public display? How can collecting turn into a narration and initiate a communication an exchange of ideas or thoughts? The lecture will introduce and examine a few objects from a corporate collection, from the Art Collection Telekom. We will try to define “story telling”, so we could follow the road from objectivity of the objects to the subjectivity of the narrative told by the collectors / curators. 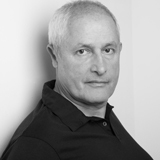 Rainald Schumacher is a curator and director Office for Art – Berlin. He was a studio assistant for Gerhard Richter, worked for galleries like Barbara Gladstone, New York and Esther Schipper, Berlin and was chief curator of the private Goetz Collection in Munich. He curated exhibitions at numerous museums and institutions, among them the Bundeskunsthalle in Bonn. In 2015 he curated ‘Appearance and Essence’ the first edition of the Art Encounters in Timisoara, Romania. He is curator for the Unlimited Art Foundation in Kiev, Ukraine and curates the Art Collection Telekom since 2010 together with Nathalie Hoyos. Introduction to Contemporary Art is an educational platform started in 2011 by the Open Arts Foundation and SARIEV Contemporary in collaboration with the art historians Svetlana Kuyumdjieva, Vessela Nozharova and Vera Mlechevska. It aims to create a context and understanding of contemporary art in Bulgaria. The program includes open lectures and artist talks that until 2014 were held in Sofia, in venues such as SKLADA /+/, the Sofia City Art Gallery and the Vivacom Art Hall. In 2015, a lecture series was organized for the first time in Plovdiv. The following artists have so far taken part in the program: Stefan Nikolaev, Nedko Solakov, Ergin Çavuşoğlu, Luchezar Boyadjiev, Krassimir Terziev, Peter Tzanev, Boris Missirkov, Georgi Bogdanov, Pravdoliub Ivanov and Boryana Rossa. 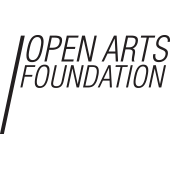 Introduction to Contemporary Art is a project of Open Arts Foundation and SARIEV Contemporary.